You have an upholstered sofa, couch or ottoman that has been collecting dust for months? You’re sick and tired of dealing with stains and unpleasant odours? If so, all you have to do is call our sofa cleaning company in SW7 Kensington and your problems will be solved for good. Our expert cleaners will make sure you’ll never have to deal with spots and dusty sofas ever again! We specialise in stain removal from upholstered furniture and employ a number of innovative methods that will bring you 100 percent satisfaction. If you want spotless sofas and soft furniture there’s only one thing to do – grab the phone and call us for a free consultation and appointment! You don’t buy upholstered furniture everyday and we at Pro Cleaners Kensington are familiar with this fact. That’s why we take soft furniture very seriously. Our cleaning process is extremely thorough and involves a number of steps. We begin by inspecting the fabric of your sofa and identifying the type of stains. Each individual fabric requires a unique cleaning technique. Because of this our professional team is trained to handle different types of fabrics and spots. We use special tools to make sure no mess or over-spray is left on your floor. Our goal is to use minimum amount of moisture on your upholstery so that it can dry up as quickly as possible. Stains are treated with special non-toxic detergents to increase the chances of removal. 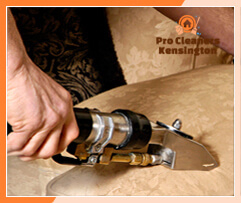 Our sofa cleaners in SW7 use soft brushes to avoid damaging the fabric of your expensive sofa. Fabrics like velvet are handled with extra care. 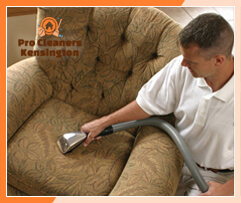 Our speed drying involves air-movers placed on the upholstery so that the moisture is removed as quickly as possible. The final step in the process includes reviewing the results with you to make sure your expectations are met. 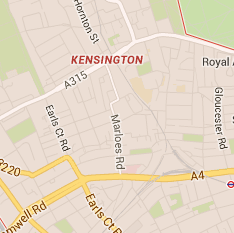 As you can see our company in Kensington London has taken soft furniture cleaning services to a whole new level! Contact us for a free inspection and let us solve your soft furniture problems for you. Satisfying you is our chief goal!